Willie joined the Company in 1979 and during the following two decades he progressed to the positions of Managing Quantity Surveyor, Chief Surveyor and Commercial Director before being appointed Managing Director of Walls Developments in 2006. 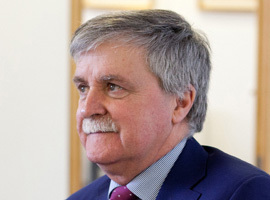 A Fellow of the Society of Chartered Surveyors, Willie has extensive commercial knowledge gained throughout 35 years’ senior management experience in the construction sector. Following the MBO in 2015 he was appointed Commercial Director of Walls Construction.